Richard Mille (理查德•米勒) [NEW] RM 016 Automatic Extra Flat Red Gold (Retail: HK$784,897) - SOLD!! 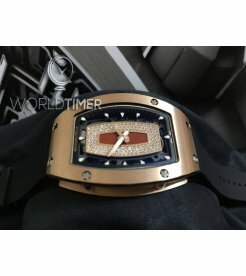 Richard Mille (理查德•米勒) [NEW] RM 016 Automatic Extra Flat Red Gold (Retail: HK$784,897) - SOLD! !Brand New Watch Comes With Box, Paper and 5 Years International Factory Warranty Full Set P..
Richard Mille [NEW] RM 07-01 NTPT Carbon Half Set Diamonds Ladies Watch Brand New Watch Comes With Original Box, Papers and 5 Years International Factory Warranty Full Set..
Richad Mille [USED][LIMITED] RM 055 Black Bubba Watson Just Watch Only, No Box No Paper!! ..
Richard Mille "SPECIAL OFFER" RM 028 Rose Gold Diver (Retail:HK$1,088,000) - SOLD! 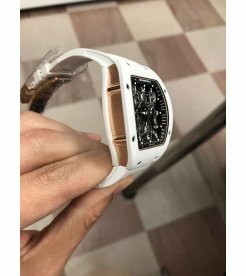 !Brand New Watch Comes With Box, Paper and 45 Months International Factory Warranty Full Set..
Richard Mille (理查德•米勒) [NEW] RM 11-03 Titanium Automatic Flyback Chronograph Facelift Brand New Watch Comes With Original Box, Papers and 5 Years International Factory Warranty Full Set..
Richard Mille (理查德•米勒) [NEW][RARE] RM 35-02 Rafael Nadal Quartz-TPT Black Version Brand New Watch Comes With Original Box, Papers and 5 Years International Factory Warranty Full Set..
Richard Mille **NEW*RARE** RM 037 NTPT Full Pave Diamonds Ladies Watch Brand New Full Set With All Original Box, Paper and 5 Years International Warranty ..
Richard Mille Brand New 'Felipe Massa' - Rose Gold RM 011 (List Price: USD$130,000) - SOLD! !Brand New watch comes with Box, Paper and 5 Years International Factory Warranty Full Set.Price On Request!!.. 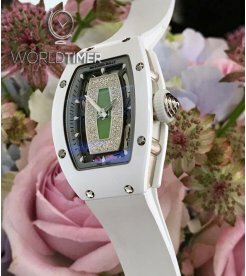 Richard Mille [NEW] RM 007 Rose Gold Red Lip Ladies Watch Brand New Full Set With All Original Box, Paper and 5 Years International Warranty ..
Richard Mille New RM 011 Black Night for Felipe Massa Limited Ed to 100 Pcs at HK$1.1million - SOLD! !Limited Edition to 100 Pieces! 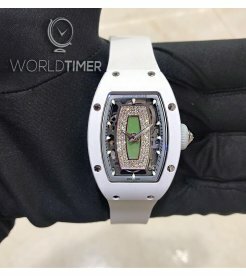 !Brand New Watch Comes With Box, Paper and 5 Years International Fact..
RICHARD MILLE NEW RM 032 AUTOMATIC TITANIUM DIVER (RETAIL: USD$ 145,000) - SOLD! !Full Details at: http://www.richardmille.com/watch/rm-032/Brand New watch comes with Box, Paper and 5 Years Intern..
Richard Mille [NEW] RM 032 Dark Diver Auto Chronograph Diver (Retail: HK$1,255,835) - SOLD! !Limited Edition of 1/1 Piece! !Brand New Watch Comes With Original Box, Paper and 5 Years International Factory ..
Richard Mille NEW RM 07-01 Green Lip Nephrite EMEA Limited Edition Limited Edition Watch Brand New Watch Comes With Original Box, Papers and 5 Years International Factory Warranty Full Set ..
Richard Mille NEW-LIMITED 50-全新限量50支 RM 035 Rose Gold Toro Limited Edition 50 Pieces!! 限量50支!! Full Set Brand New With All Boxes, Papers and 5 Years Manufacturer International Warranty..
Richard Mille NEW-全新 RM 11-03 Black Carbon NTPT Flyback Chronograph Watch Full Set Brand New With All Boxes, Papers and 5 Years Manufacturer International Warranty..
Richard Mille NEW-全新 RM 17-01 Tourbillon Watch - SOLD!! Richard Mille NEW-全新 RM 17-01 Tourbillon Watch - SOLD!! Brand New Watch Comes With Original Box, Papers and 5 Years International Factory Warranty Full Set ..
RICHARD MILLE RM 39-01 AUTOMATIC AVIATION E6-B FLYBACK CHRONOGRAPH (RETAIL: HK$1,177,346) Brand New Watch Comes With Box, Paper and 5 Years International Factory Warranty. ..
Richard Mille [2012 USED] RM 030 Titanium Yellow Automatic Watch 2012 Paper Mint Condition Watch with Box and Paper Full Set..
Richard Mille [2013 USED] RM 011 IVORY Felipe Massa Automatic Watch 2013 Paper Mint Condition Watch with Box and Paper Full Set Real Watch Photos Will Be Provided Upon Serious Enquiry..
Richard Mille [2013 USED] RM 011 Titalyt Automatic Mens Watch 2013 Paper Mint and Rare Watch with Box and Paper Full Set..
Richard Mille [2013 USED][LIMITED 30 PC] Bubba Watson RM 055 White Drive Americas Limited Limited Edition of 30 Pieces Only!! 2013 Paper Pre-Owned Watch in Mint Condition with Box and Paper Full..
Richard Mille [2013 USED][LIMITED 6 PIECE] RM 52-01 Red Skull Tourbillon Watch Limited Edition of 6 Pieces Only!! 2013 Paper!! Pre-Owned Watch in Mint Condition with Box and Paper Full Set..
Richard Mille [2014 USED] RM 029 Rose Gold Automatic (Retail:HK$ 744,000) 2014 Paper, Mint Condition Watch with Box and Paper Full Set..
Richard Mille [2015 USED] 'Felipe Massa' RM 011 Rose Gold Automatic Mens Watch 2015 Paper Mint Condition Watch with Box and Paper Full Set..